Problem Sets 1 and 2 are now posted on the Problem Sets page. Here are lecture notes accompanying the lecture of September 12th on deformation theory. Course Description The study of rational curves in smooth, projective varieties forms one of the key tools in higher-dimensional algebraic geometry. We will review classical results such as Castelnuovo's criterion, we will study a few of the many ways that rational curves arise in the minimal model program, e.g. the cone and contraction theorems, and finally we will end with an overview of results from the past 10-15 years applying parameter spaces of curves to get refined information for those varieties containing many rational curves (i.e., uniruled and rationally connected varieties). Time permitting, I will also discuss rational simple connectedness, a new notion with applications to existence of rational points of varieties, among others. The only prerequisite is an understanding of algebraic geometry at the level of a typical graduate textbook (algebraic geometry over fields other than the complex numbers plays a crucial role, even for proving theorems about complex varieties). Prerequisites Students should have passed the graduate algebra sequence. A basic understanding of the language of modern algebraic geometry will also be essential. Text There is no required textbook. For the first part of the course, I recommend the following two excellent textbooks. János Kollár, Rational Curves on Algebraic Varieties. Olivier Debarre, Higher-dimensional Algebraic Geometry. For the second part of the course, we will mostly follow the original articles. Tom Graber, Joe Harris and Jason Starr, Families of rationally connected varieties. 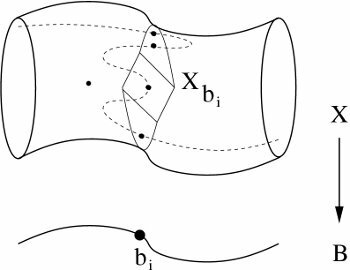 A. J. de Jong and Jason Starr, Every rationally connected variety over the function field of a curve has a rational point. Brendan Hassett and Yuri Tschinkel, Weak approximation over function fields. Tom Graber, Joe Harris, Barry Mazur and Jason Starr, Rational connectivity and sections of families over curves. János Kollár, A conjecture of Ax and degenerations of Fano varieties. Amit Hogadi and Chenyang Xu, Degenerations of rationally connected varieties. A. J. de Jong and Jason Starr, Higher Fano manifolds and rational surfaces. Carolina Araujo and Ana-Maria Castravet, Polarized minimal families of rational curves and higher Fano manifolds. A. J. de Jong and Jason Starr, Almost proper GIT-stacks and discriminant avoidance. A. J. de Jong, Xuhua He and Jason Starr, Families of rationally simply connected varieties over surfaces and torsors for semisimple groups. Jason Starr, Rational points of rationally simply connected varieties. Brendan Hassett, Weak approximation and rationally connected varieties over function fields of curves. Lectures The instructor for this course is Jason Starr. All instruction will occur in lectures. The tentative schedule is in the syllabus. Lecture is held Mondays and Wednesdays, 4:00 PM  5:20PM in Math Tower 5127. Tuesdays and Thursdays, 1 PM - 2 PM in Math Tower P-143. Tuesdays 10 AM - 11 AM in the MLC. Grading System The grading system will be discussed at the first class meeting.